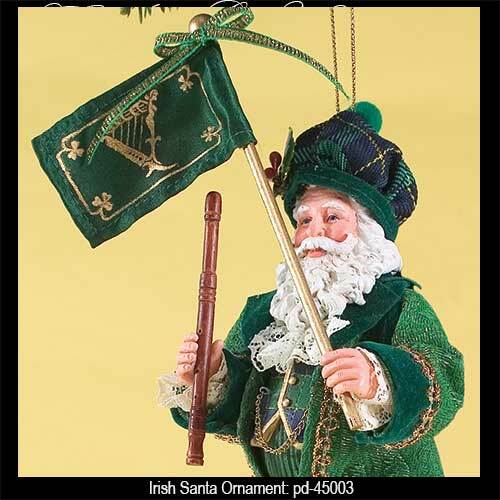 Irish Santa Christmas ornament features an Irish flag and walking stick along with a shamrock on his cap. This Irish Santa Christmas ornament features a walking stick in one hand and an Erin Go Bragh (or Fenian) flag in the other. 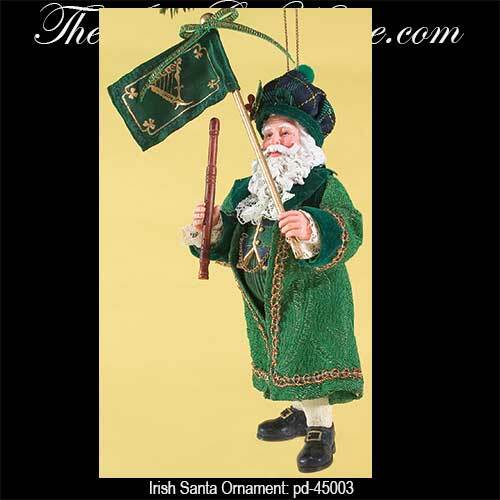 The Irish Santa ornament stand 6" tall and he is made of porcelain and clothique by Possible Dreams. The Santa ornament is ready to hand on your tree with the included cord and he is gift boxed with a shamrock history card, complements of The Irish Gift House.